Is Twitter Telling Celebrities To Ditch Meerkat? Fierce competition prevails in social media.Twitter is a micro blog site. It has spearheaded micro blogging. Most of its users are celebrities. With small micro messages, it captivated big markets. Celebrities with a busy lifestyle can send quick short messages. They enchant their fans by texting on Twitter. They engage them by being active on Twitter. Happening news can be announced. It brings in a quick note as easy as an SMS. Its versatility on mobile devices makes it much adorable. Since inception, Twitter has become a buzz word. Its text messaging is much faster than any other social sites. The Tough Fight Between Twitter And Meerkat Is On! Twitter acquired Periscope for video streaming. Since then it has been promoting it aggressively. It is waging an open war with the competition. Its competitor Meerkat is a victim of Twitter marketing. Twitter asks its celebrities to use its live streaming service. Further, it is vocal to ask them to stop using Meerkat. The social streaming is a battle field. It has many players trying to eat the pie. 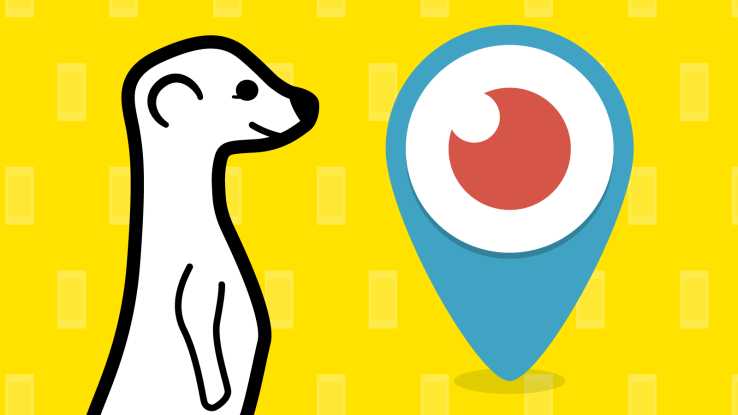 Twitter with Periscope want to beat down Meerkat. It even reaches to the extent of stopping its Amplify service on Meerkat. It strives down to the monopoly road of its streaming and tweeting service. Twitter pushes its customers to shut downthe Meerkat usage. It strategizes Meerkat as a dying streaming service. It enables its positioning for celebrities and publishers to launch using Periscope. Meerkat on the other hand is a tough competitor for Twitter. It has been attracting twitter customers to its live streaming service. Meerkat app is being rejuvenated to make the streaming faster and better. This aims in stiffening the competition with Twitter. As the battle goes on, the statistics reveal that Twitter is winning the race. On the Apple platform, Twitter has seen a 0.3% growth than Meerkat 0.2% reach to the users. This market is captivated in the last quarter. Twitter with its aggressive reach to customers, is winning the streaming market. Twitter has been roping content to win this race. It entices various resources from marketing, engineering and industries. It is poised to throw content to its streaming service to take on Meerkat. Meerkat’s response so far has been lukewarm. It has been launching anti tactic strategy to defend its position. It is not as aggressive as Twitter. Further Twitter’s social reach outperforms Meerkat’s service. Social content is far reaching than video streaming. Twitter with is content streaming is geared to pin itself. Twitter went to the extent of cutting off Meerkat from its social graph. While Twitter and Meerkat heads on to take the streaming race, they have to deal with other competitors. Video streaming like YouNow is widely prevalent. Most of the celebrities use YouNow to broadcast their contents. Capturing the pie from the established competitors will be a tough game for both Twitter and Meerkat. Twitter is banking on its video strategy to steer its growth. And periscope is a great potential for it to boost its revenues. This also has given Twitter a facelift from the traditional textual sharing to visual sharing. With its change in sharing strategy, Twitter is positioned to take on the world and not just Meerkat.